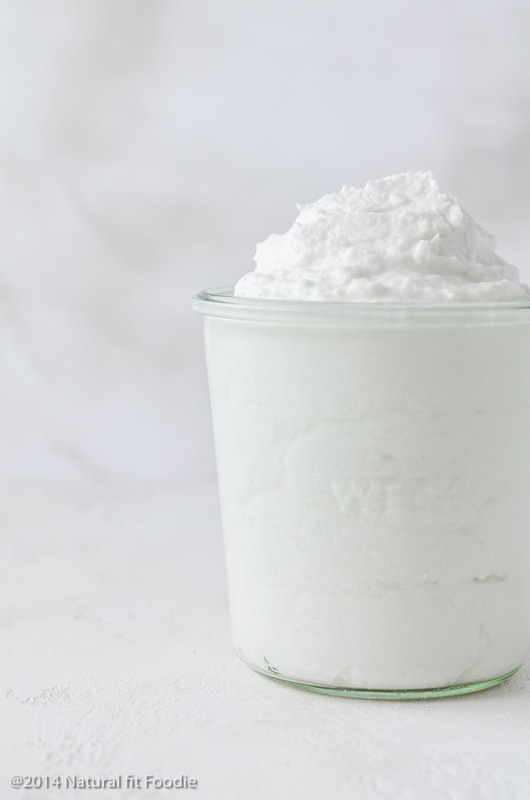 This deliciously thick and creamy homemade coconut yogurt could not be any easier to make. No heating of the milk, no thermometers, no fancy yogurt making devices required. Ever since I saw the Minimalist Baker’s 2 ingredient coconut yogurt recipe I’ve been trying my hand at homemade coconut yogurt. I tried every brand of coconut milk I could get my hands on locally in Spain but I did not have success. The yogurt tasted amazing but I could not get it to thicken up. 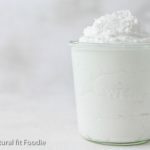 All is not lost because in the end I was able to make a delicious, easy homemade coconut yogurt that’s paleo and keto diet approved! 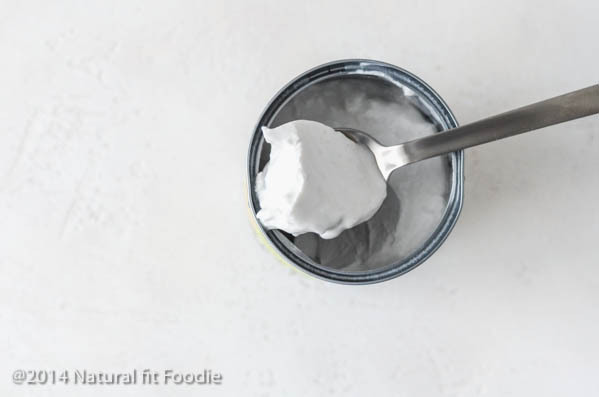 I felt defeated until one day my Instagram friend Katy shared a lifesaving tip for a thick and creamy homemade coconut yogurt. Katie uses cashews in her yogurt but I decided to go with coconut meat. The coconut milk should be full fat canned coconut milk, preferably one without any gums or fillers. NOT homemade coconut milk , NOT the coconut milk from the carton, full fat canned coconut milk. 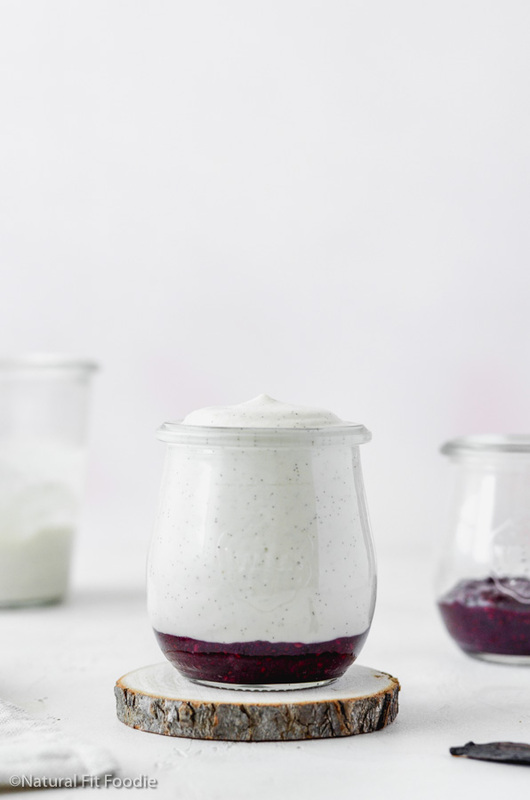 You will need two probiotic capsules to ferment the coconut and turn it into yogurt. 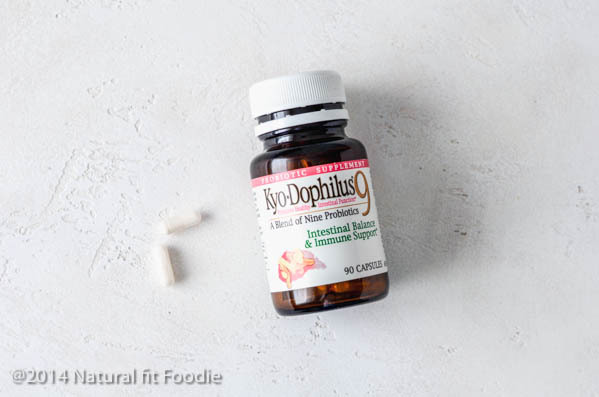 Ensure that your probiotic does NOT contain prebiotics.I use this Kyo-Dophilus 9 brand because it contains all the necessary strains of bacteria AND it’s low histamine which is an issue for me. Amazon Spain no longer carries the Kyo-Dophilus brand of probiotic so I’ve had to seek out alternatives. I found this probiotic by Primal Blueprint and I’m loving it so far. The optimal fermentation time with this probiotic has been 36hrs. 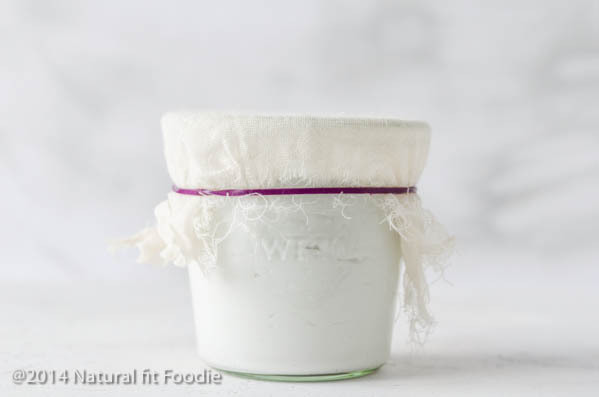 How to make coconut yogurt WITHOUT probiotics : If for whatever reason you cannot / do not wish to use probiotics to make this coconut milk yogurt then you may also use store bought coconut yogurt as a starter. A couple tablespoons should do the trick. 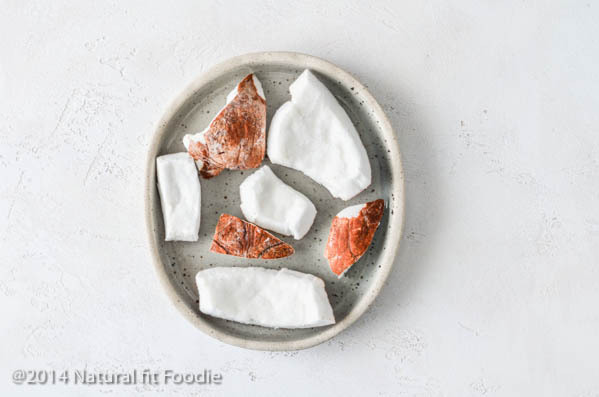 You’ll need about 3.5 ounces /100 grams of coconut meat to be used as a thickener in this recipe. Make sure to peel the meat to remove the brown skin. Ensure that everything that will come into contact with the yogurt is thoroughly clean. 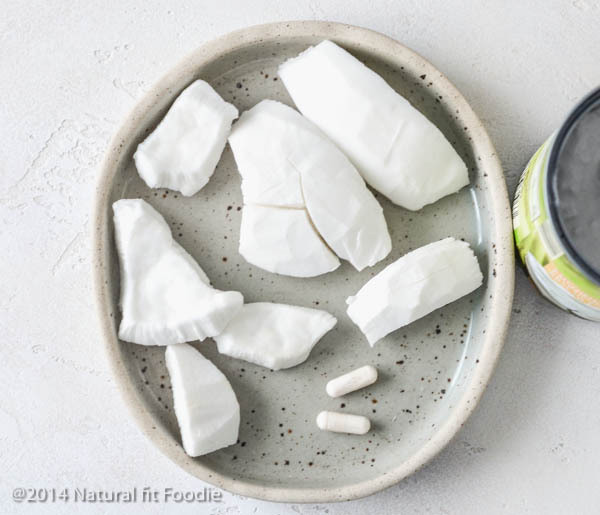 Open up the probiotic capsules and add the contents along with the coconut milk and meat to a blender. Note : I have tried stirring the probiotic powder in with a spoon but it remains lumpy and yes I have heard the rumour that metal damages the probiotic but this has not been an issue for me. 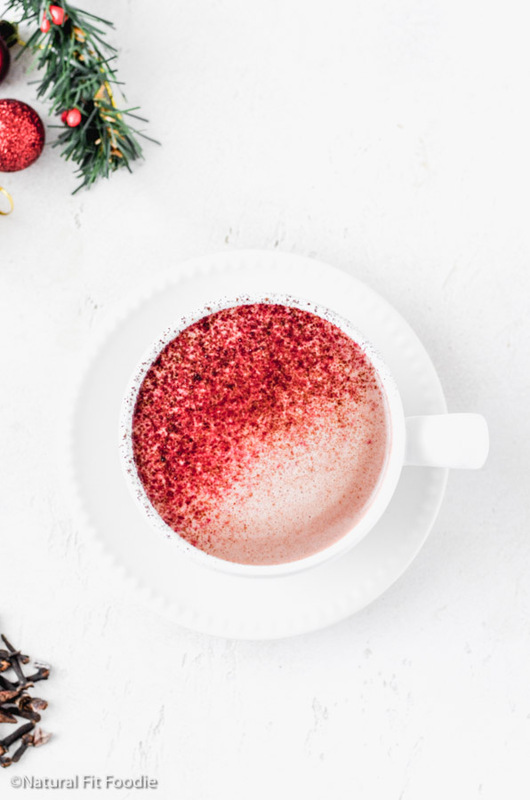 If you are concerned about the effectiveness of the probiotic being reduced you can process the coconut milk and meat until smooth and then blitz in the probiotic powder for a few seconds at the end. I have been doing this lately. Blend until you have a smooth mixture. It should be nice and thick like a smoothie with no bits. Add the mixture to a glass jar and cover with a piece of cheesecloth or other tightly woven but breathable fabric. Secure with an elastic band. Place the jar in a cool, shady spot to ferment. Fermentation may take up to 3 days depending on the temperature in your home. Taste the yogurt each day until you have a tangy flavor. If at anytime you notice a greyish / yellow film during fermentation toss that batch of yogurt! 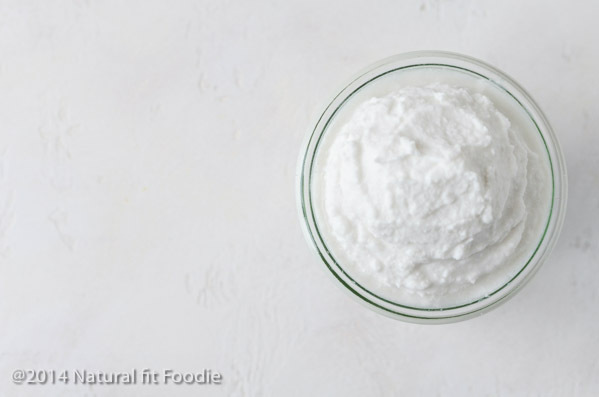 If coconut meat is hard to find you have a few alternative options for thickening your homemade coconut yogurt. 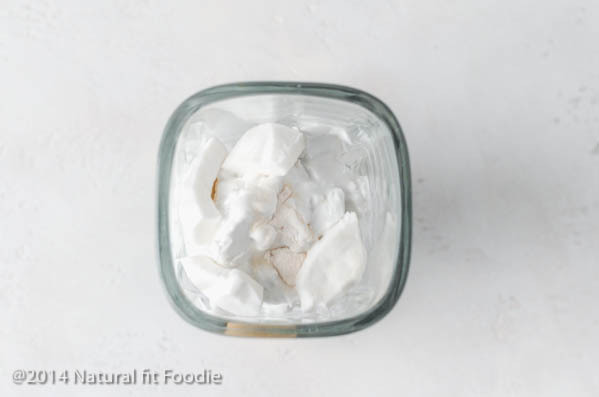 If like myself you prefer an extra thick Greek style yogurt you can still utilise one of these options to further thicken your homemade coconut yogurt. 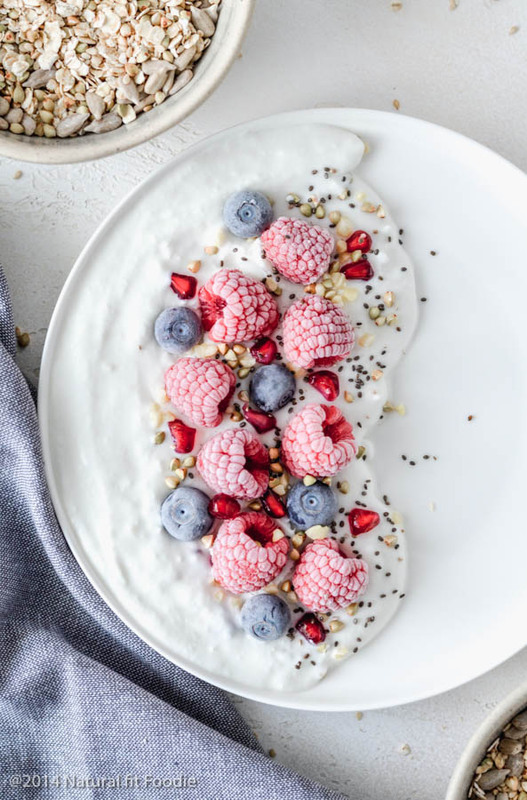 Enjoy your homemade coconut yogurt with granola, pancakes and more! If after 48 hours your Homemade Coconut Yogurt tastes too tangy / sour reduce fermentation time and / or the number of probiotic capsules. Making homemade coconut yogurt may take some trial and error but once you nail the process down it’s so worth it! If you love dairy free yogurts make sure you check out the latest addition to my yogurt family! Turn your can of coconut milk upside down and place it in the fridge to chill. This allows the cream to separate from the water and solidify at the top. When you’re ready to make your coconut yogurt spoon off the coconut cream and use this part only. You can save the water for adding to smoothies or oatmeal etc. Blend until you have a smooth mixture. It should be nice and thick like a smoothie with no bits. Add the mixture to a glass jar and cover with a piece of cheesecloth or other tightly woven but breathable fabric. Secure with an elastic band. Place the jar in a cool, shady spot to ferment. Fermentation may take up to 3 days depending on the temperature in your home. Taste the yogurt each day until you have a tangy flavor. When you have the desired flavour, cover the jar and place it in the fridge. The yogurt will thicken further as it is refrigerated. If at anytime during the fermentation process you notice a greyish / yellow film during fermentation toss that batch of yogurt! Hi, I use an average blender, nowhere as fancy as a Vitamix and it blends it smooth to a thick smoothie consistency without any bits. 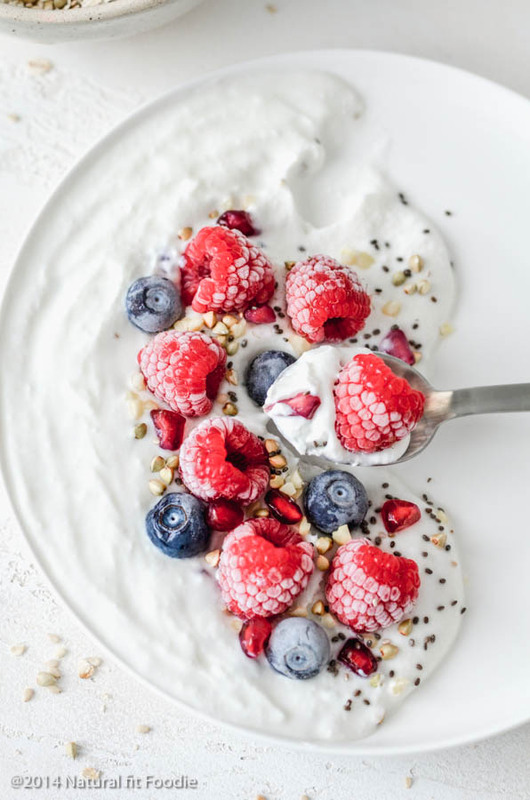 If you’re concerned you can always try to make the coconut yogurt without adding the coconut meat and just using the probiotic. Some people have had success with it thickening up like that but I have not. Do you have any nutritional information on this yogurt? Mainly carbs? Mine was so delicious I used frozen coconut pulp and it thickened perfectly. Hi Louise I’ve added the nutrition label to the post. 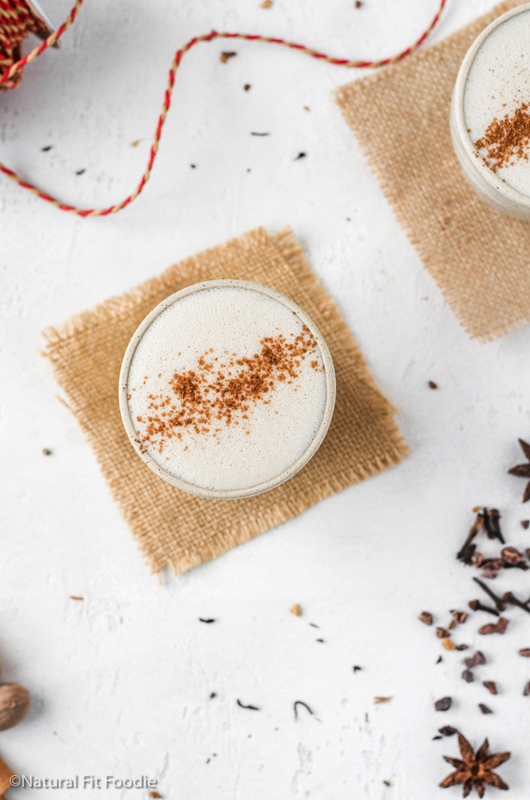 I’m so pleased that you had success with this homemade coconut yogurt! Why is it that the probiotic used as a starter cannot contain prebiotic? My batch didn’t work (it stinks and has a layer of clear liquid at the bottom of the jar). I amJust trying to work through possible causes. Hi Karina, making a fermented food often takes experimentation. There are numerous reasons why the batch did not turn out. The probiotic used, the coconut milk used, the temperature (too warm) and length of time (too long) at which it was allowed to ferment at, the condition of the utensils and jar used. With so many variables its hard to say.